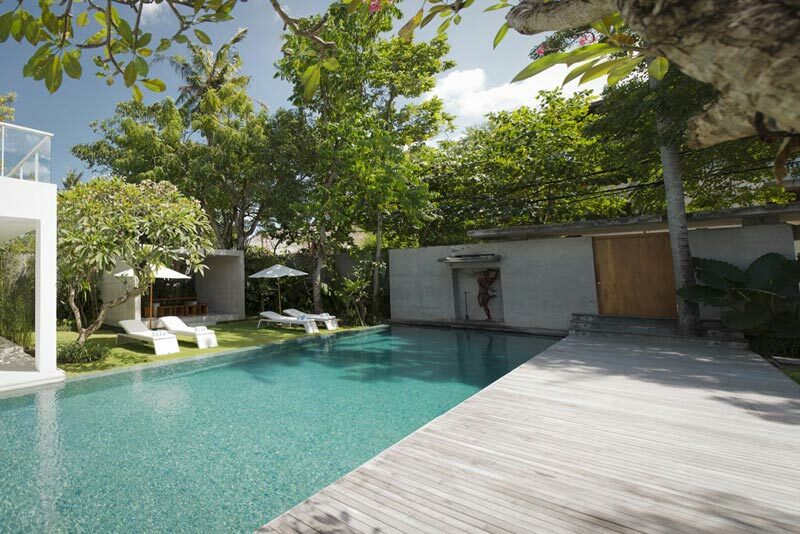 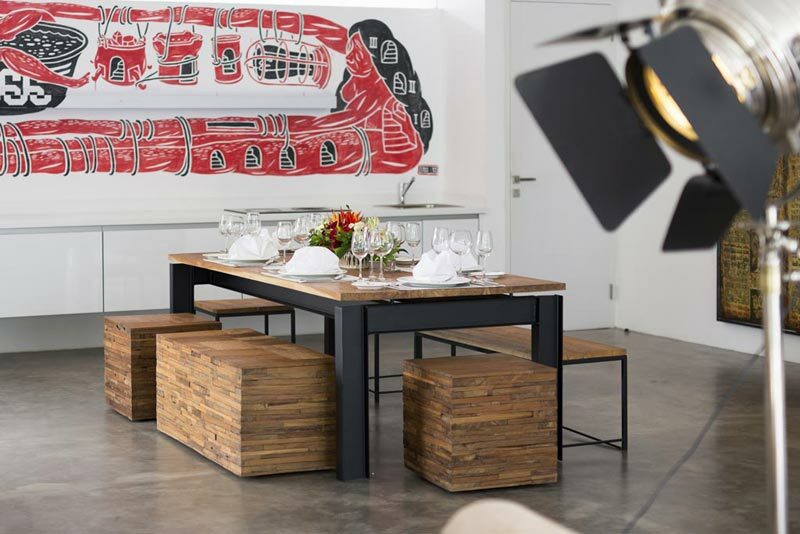 Contemporary-styled, two-in-one Villa Canggu, complete with swimming pools and an exciting selection of artwork, is located 100 metres from the beach near Canggu, which is fast evolving as Bali`s hippest seaside scene. 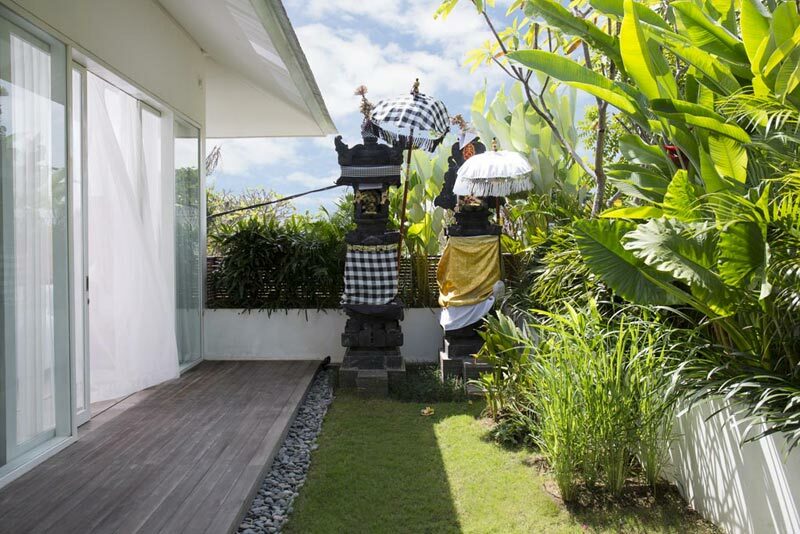 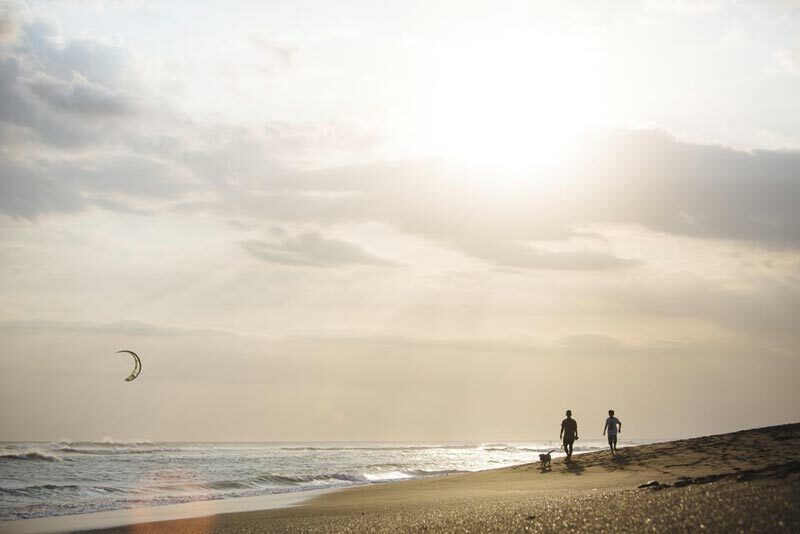 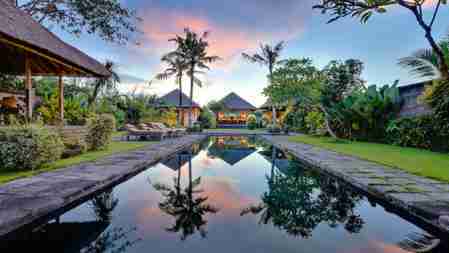 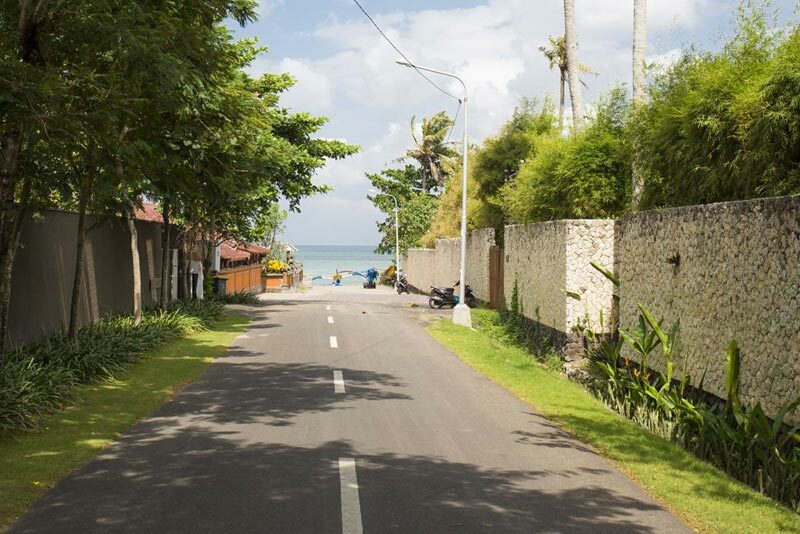 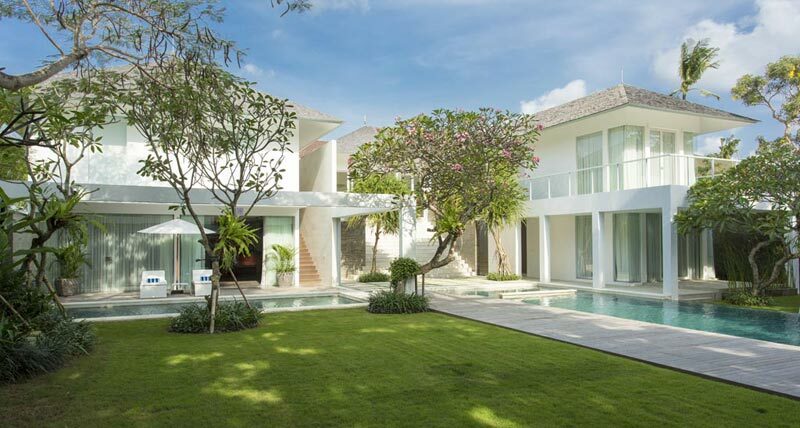 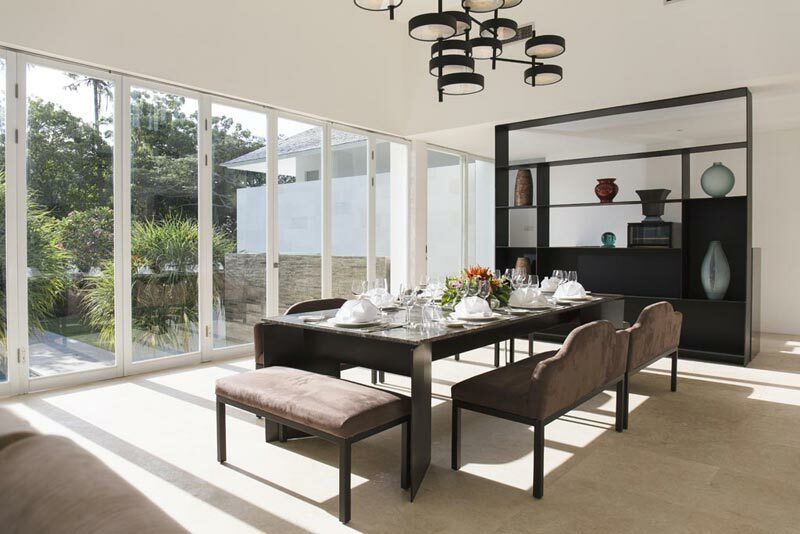 The villa is divided into two separate residences which can be rented jointly or independently: four-bedroom Villa Canggu South is adjoined by two-bedroom Villa Canggu North, offering guests the choice of a two, four or six-bedroom renting option. 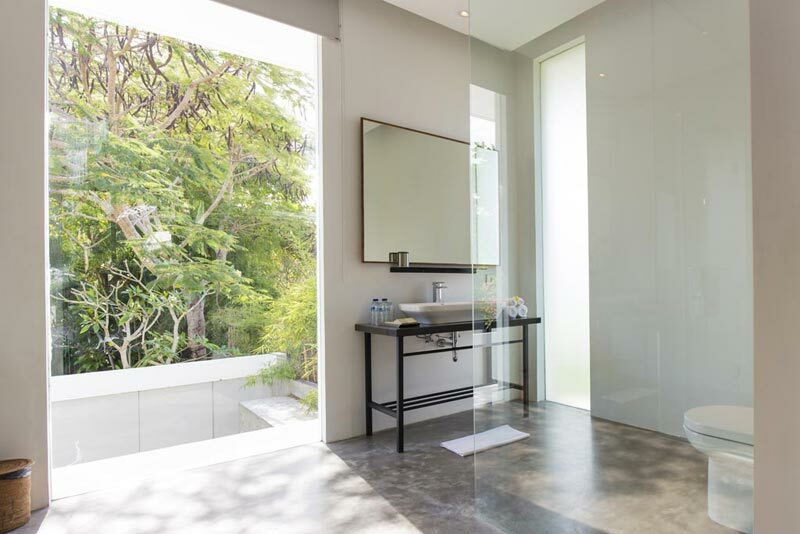 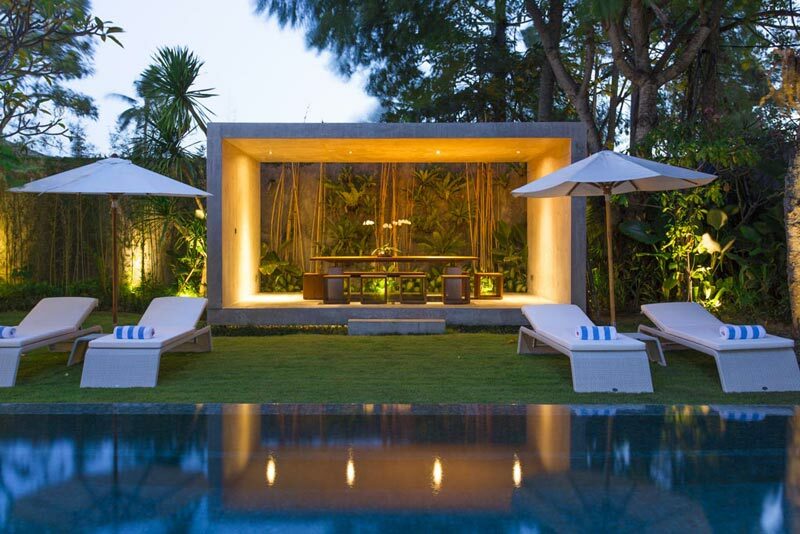 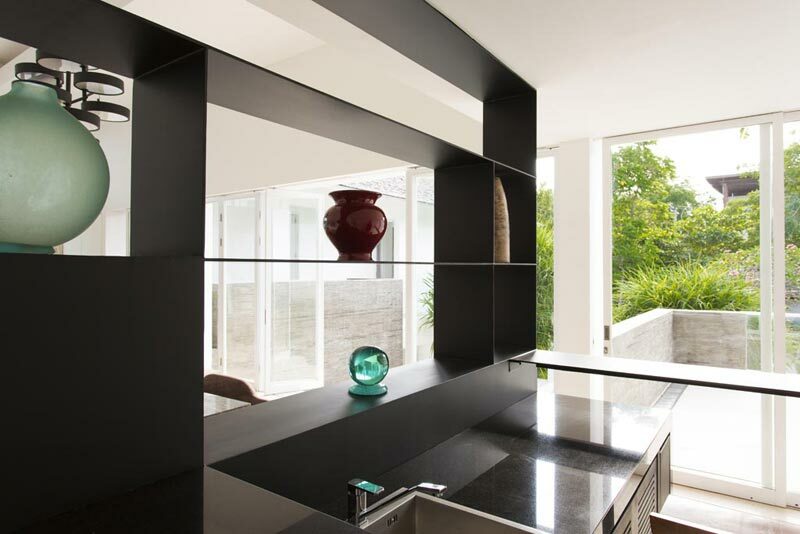 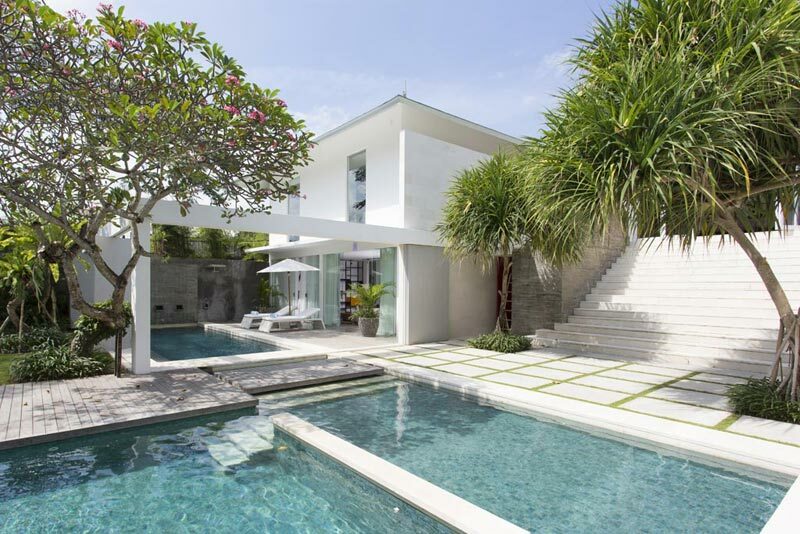 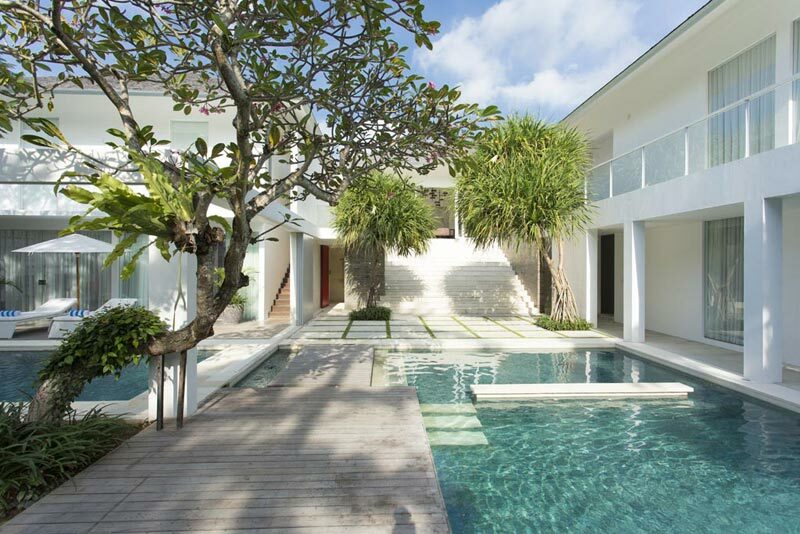 Villa Canggu is designed as an adaptable and spacious 6-bedroom villa which can be neatly divided to form two individual private villas - 4-bedroom Canggu South and 2-bedroom Canggu North - with the installation of sliding panels around Canggu North`s pool area. 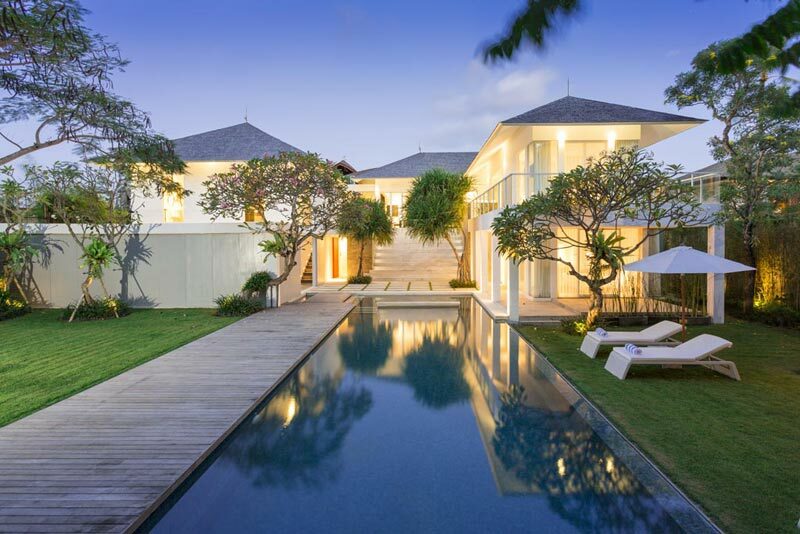 As a 6-bedroom rental option, the villa offers two indoor living areas, an alfresco dining pavilion, two pools (plus a kids wading pool), a full kitchen and a kitchenette, and six ensuite bedrooms - two on the ground floor and four on the upper floor, all with king-size beds, three of which can be converted to twins, giving even more flexibility. 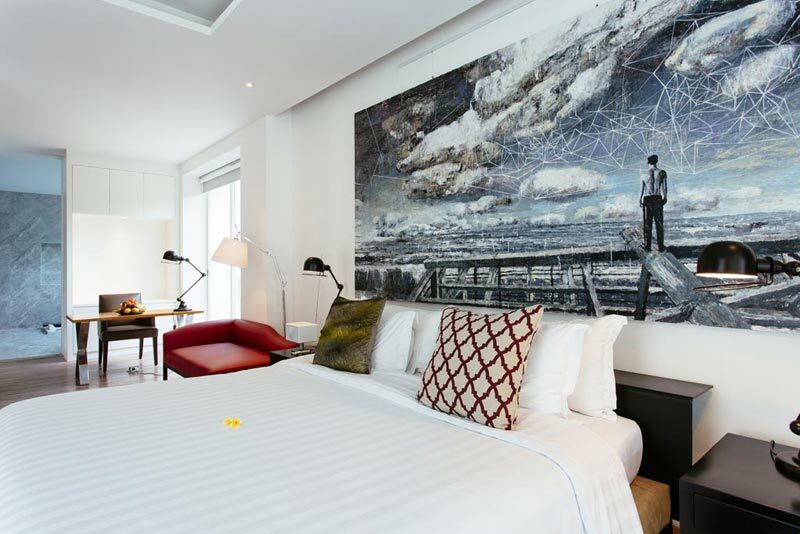 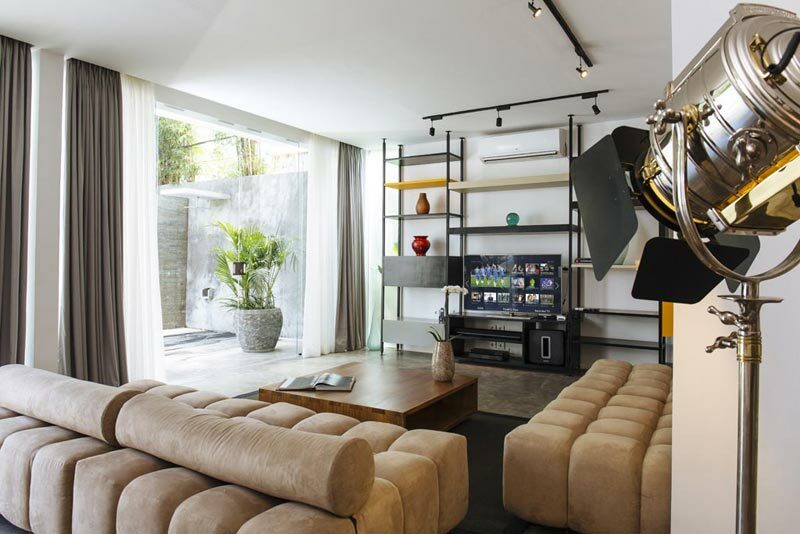 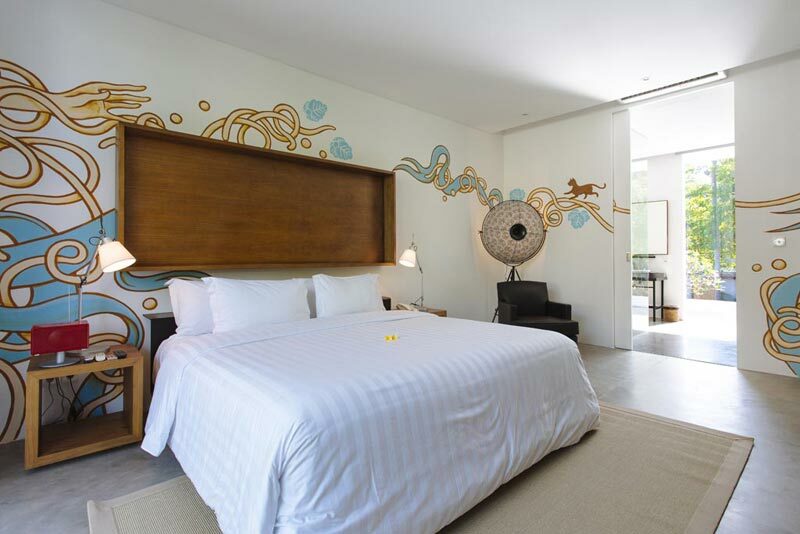 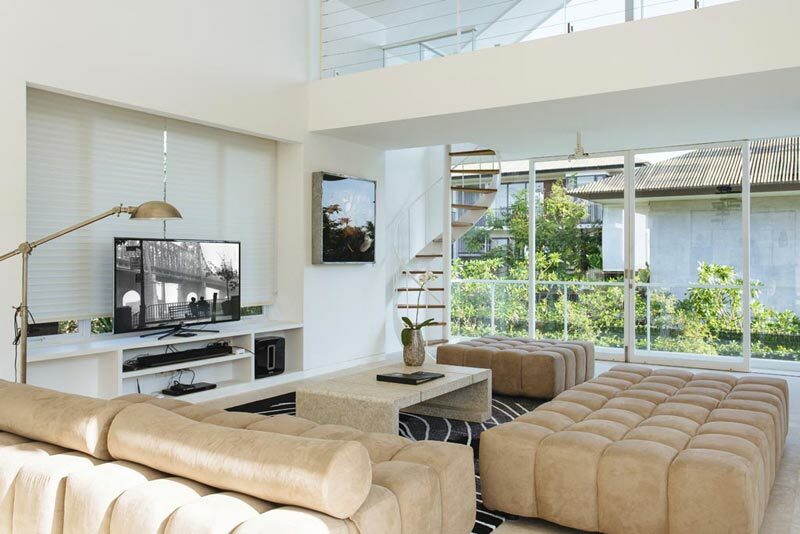 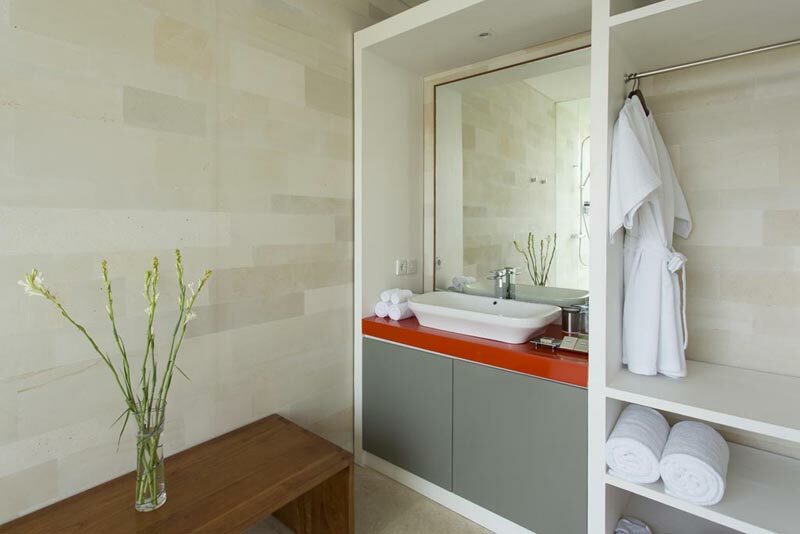 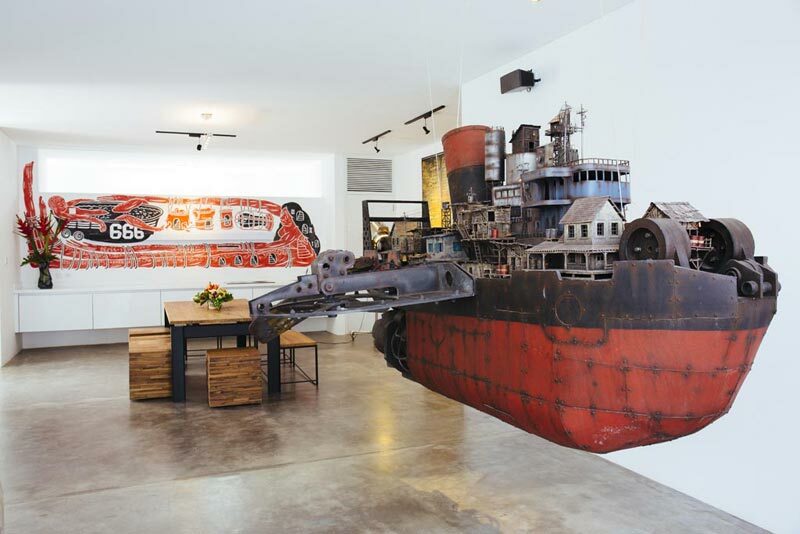 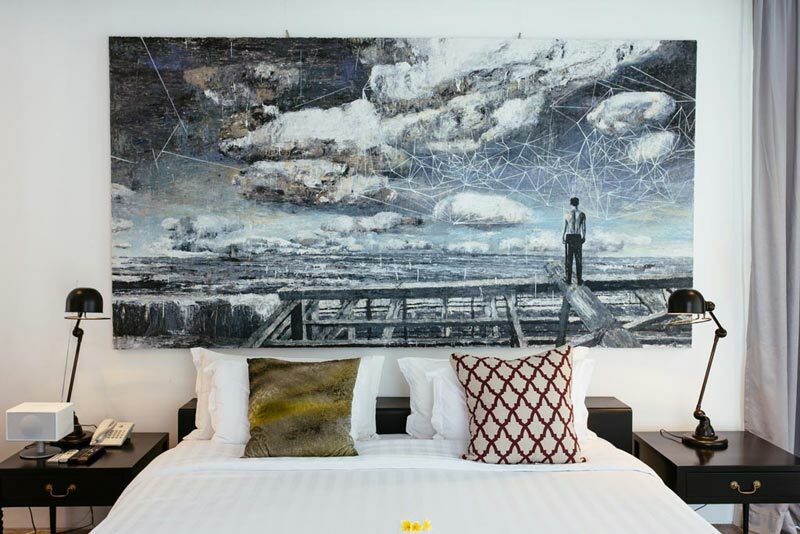 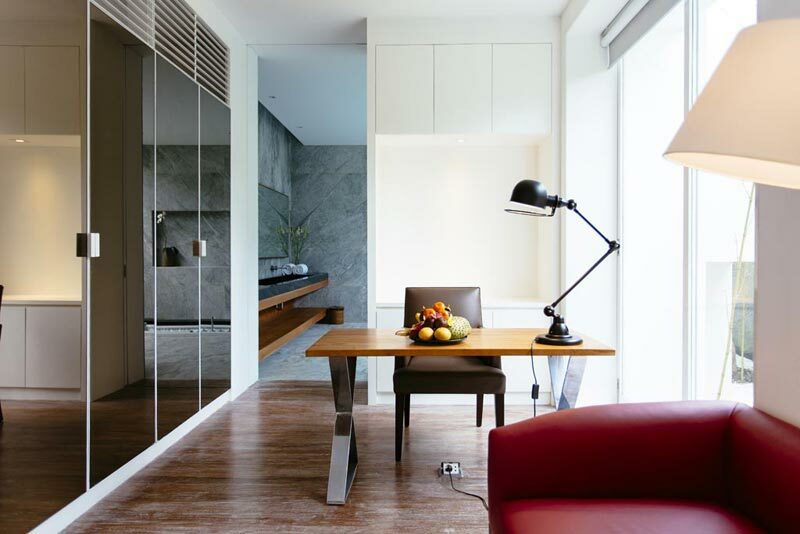 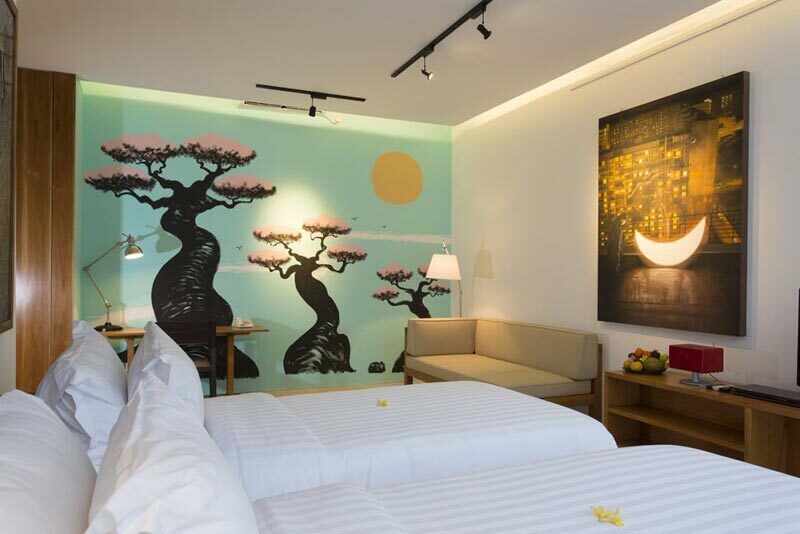 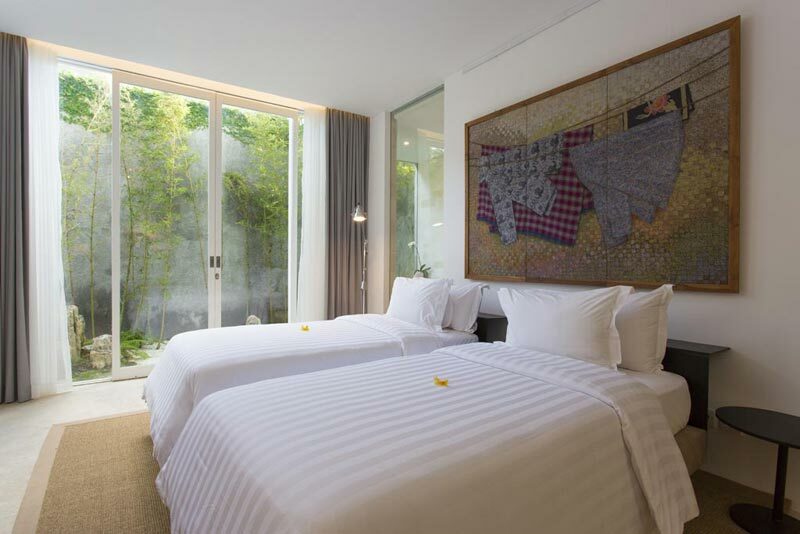 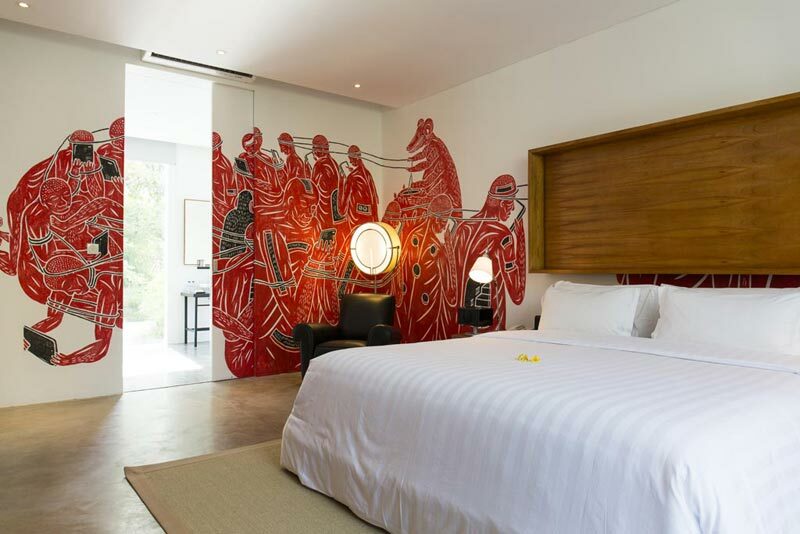 2-bedroom Canggu North`s large and bright living and dining area features a neat kitchenette and some stunning artwork. 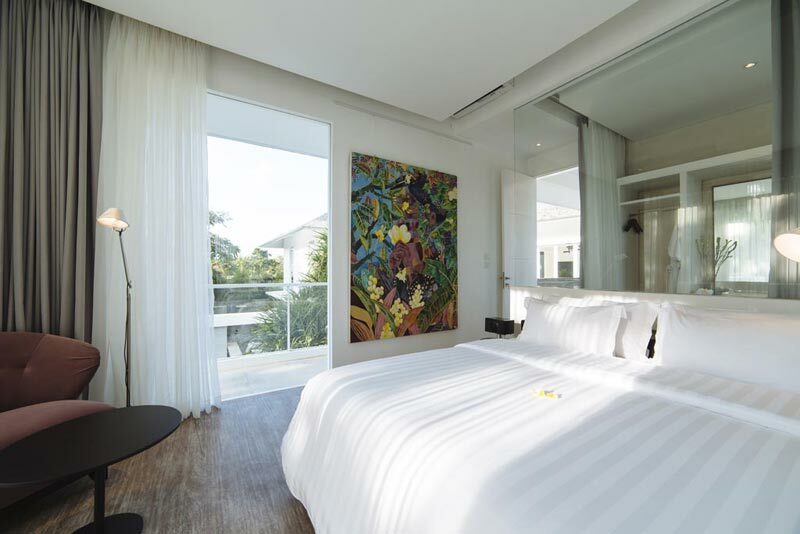 The room opens onto an 8-metre pool and sun deck furnished with loungers. 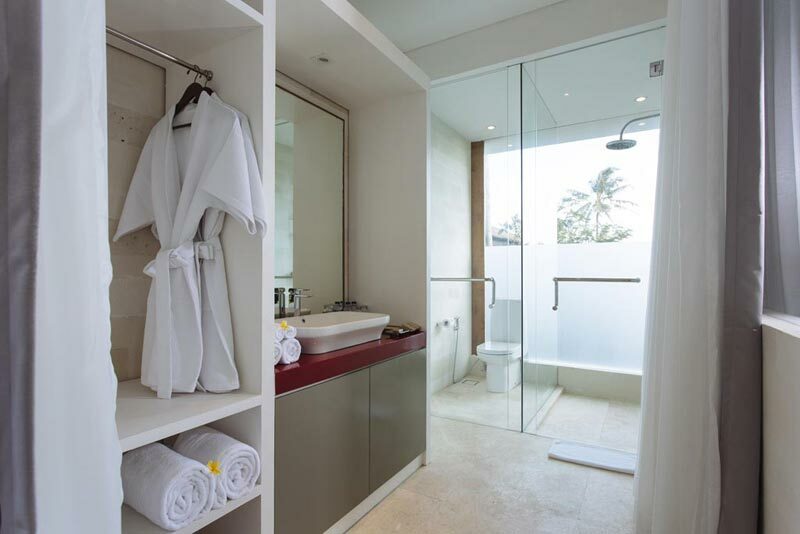 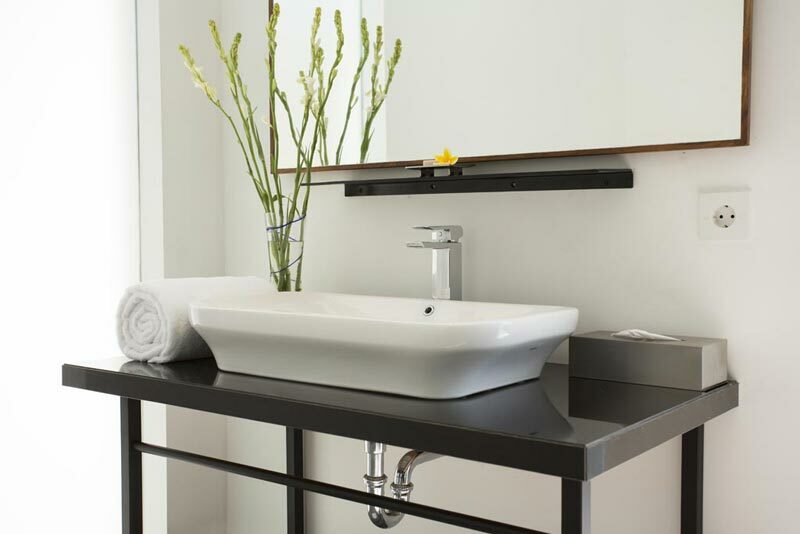 It`s adjoining upstairs bedrooms can be set up as kings or twins and both come with ensuite shower rooms. 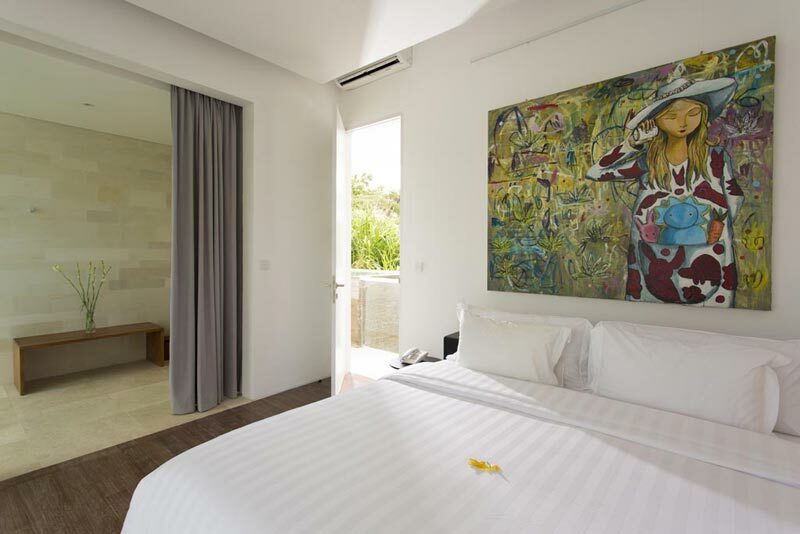 Situated on the ground floor, Villa Canggu South`s master suite provides every comfort and luxury, including a king-size bed, sofa, mirrored wardrobes and desk. 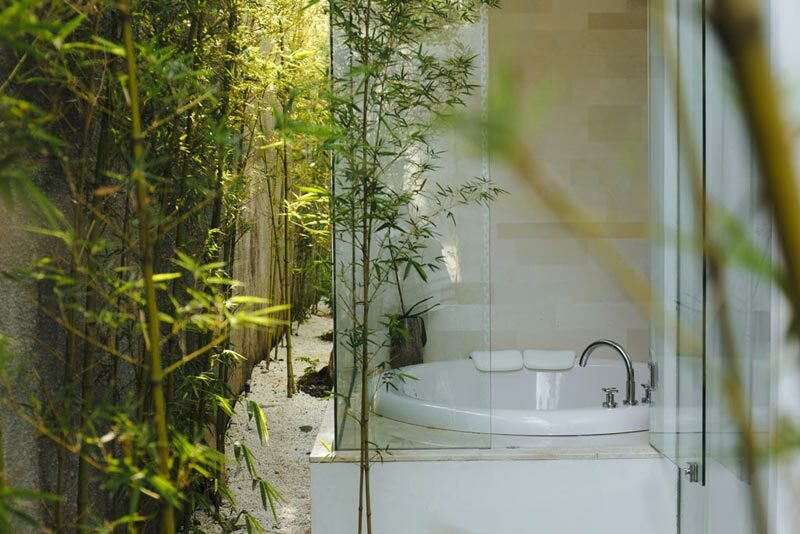 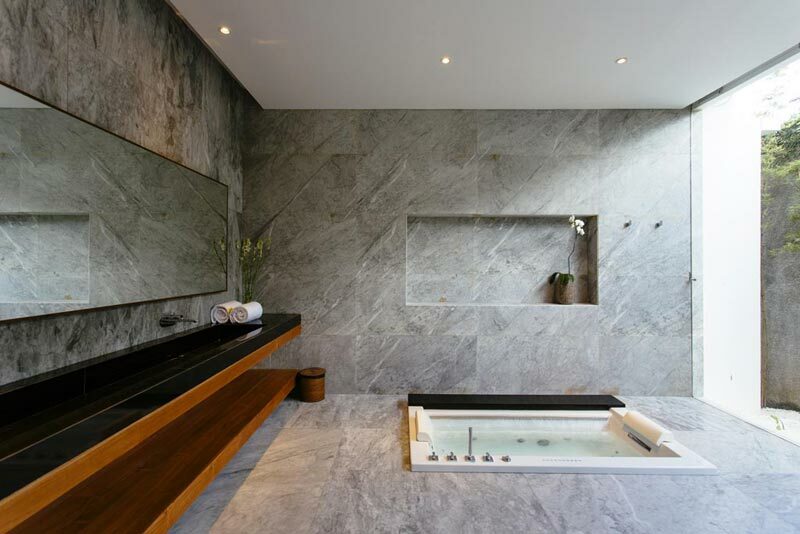 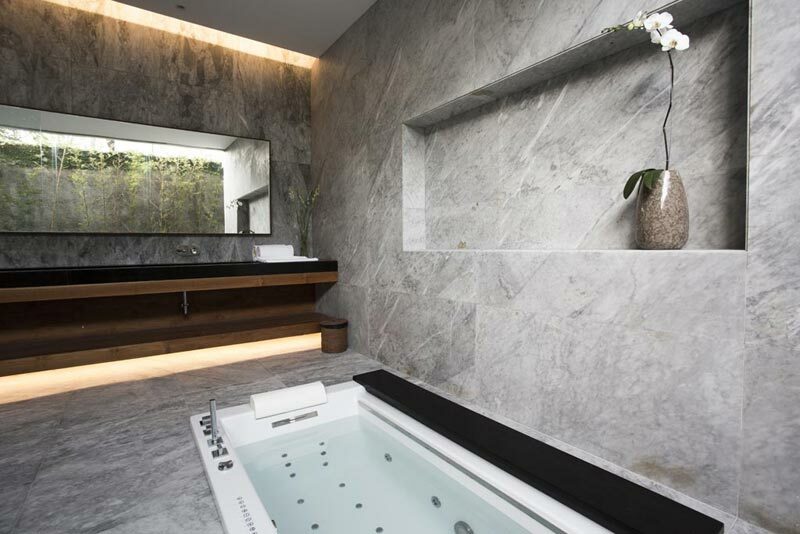 Sliding glass doors open to a terrace bordered by bulrushes, while the glamorous marble bathroom is fitted with a sunken jacuzzi bathtub for two and a walk-in rain shower. 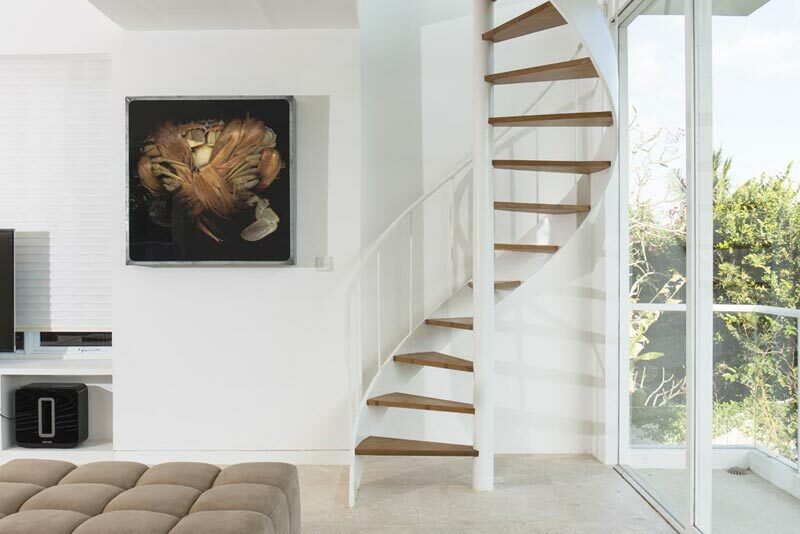 A spiral staircase extends from the living area up to a unique chill-out mezzanine `reading room` located at roof level. 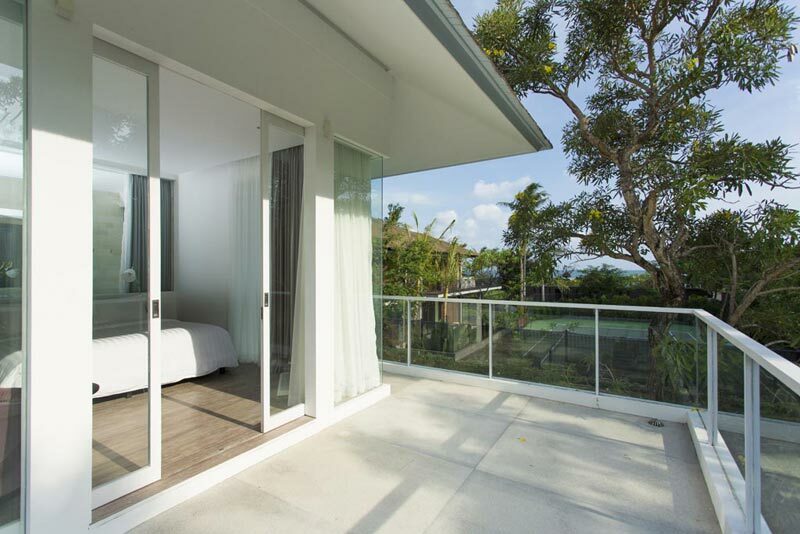 Here, glass doors open to a veranda, which is cooled by sea breezes, offers views of the ocean and is the perfect spot for a sunset cocktail. 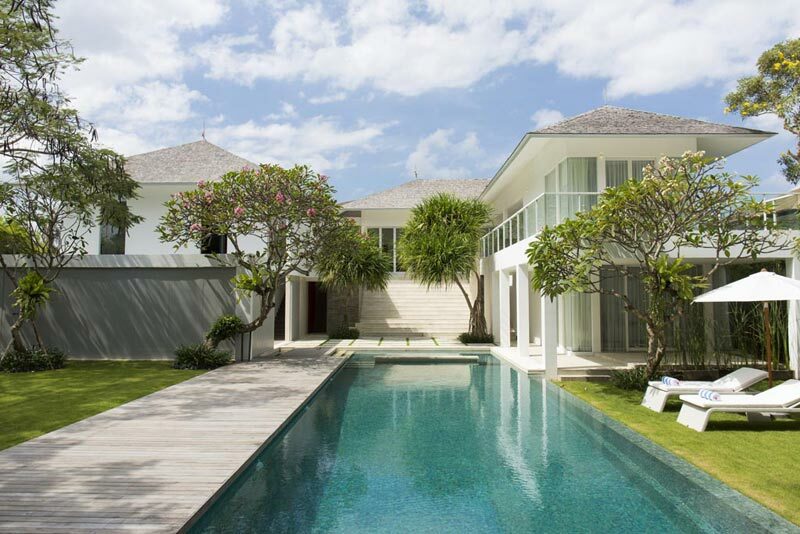 The walled garden of the villa features a flat lawn and a 20-metre lap pool, with a waterfall at one end and a children`s pool at the other. 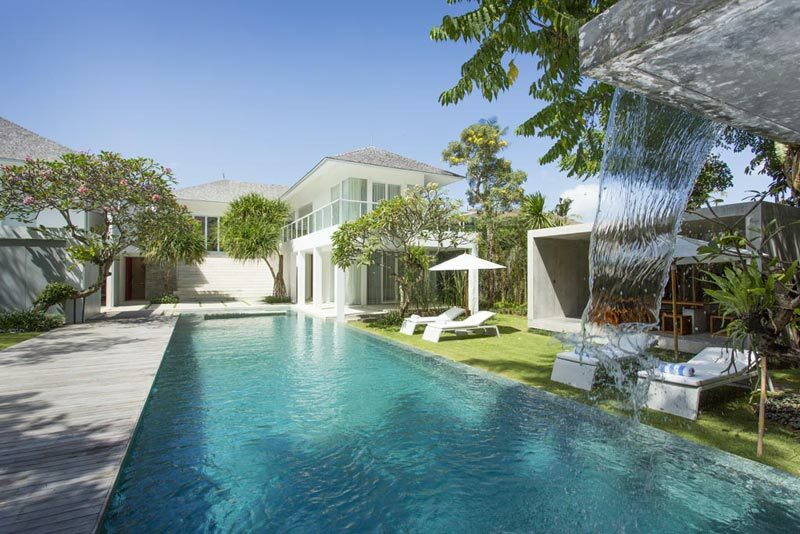 The pool is adorned by many other small waterfalls and fountains. 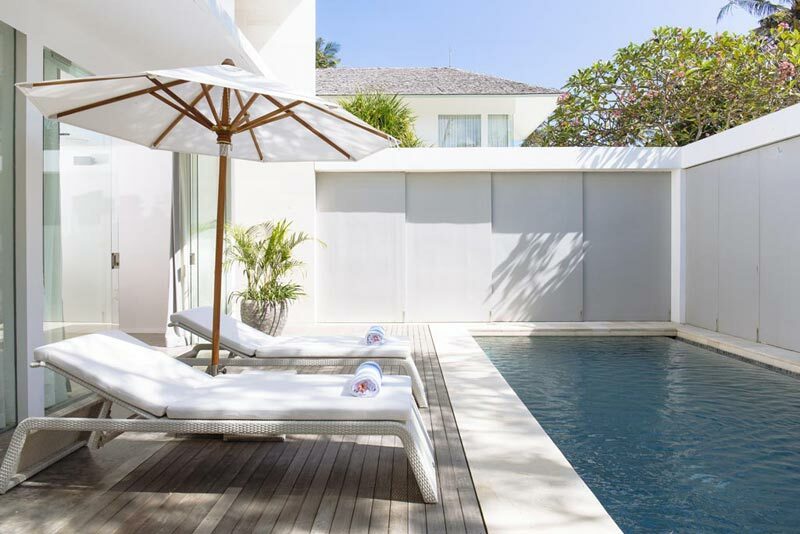 A sun deck, furnished with loungers and umbrellas, runs the length of the pool and on the opposite side is the alfresco dining pavilion soothed by the sound of the waterfall and furnished with a dining table and bench seats.